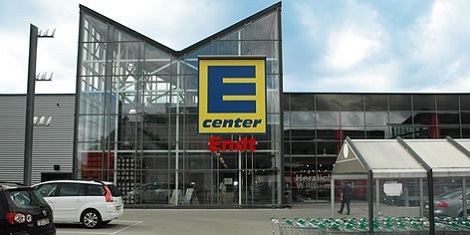 Edeka, one of the leading retailers in Germany has selected DIGI Reverse Vending Machine for the collection of beverage containers in the store. In Germany, collection of empty beverage containers by retailers is mandated by law. 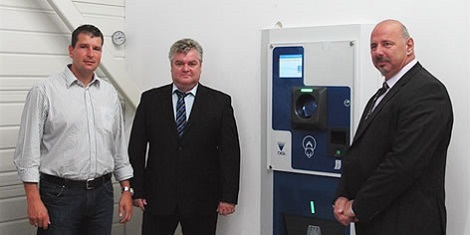 As such, Mr. Endt (at left in the right photo) was looking for a reliable Reverse Vending Machine to enable quick and simple collection of beverage containers. DIGI proposed the DRV-1000 and DRV-5000 series. Quick and accurate recognition technology provided with DIGI Reverse Vending Machine, Quick Capture™ and Quick Capture™ has been successful in increasing throughput and reducing shopper stress. Furthermore, the robust but small compactors with their simple, clean structure and store-adaptable design were well-accepted by customers.